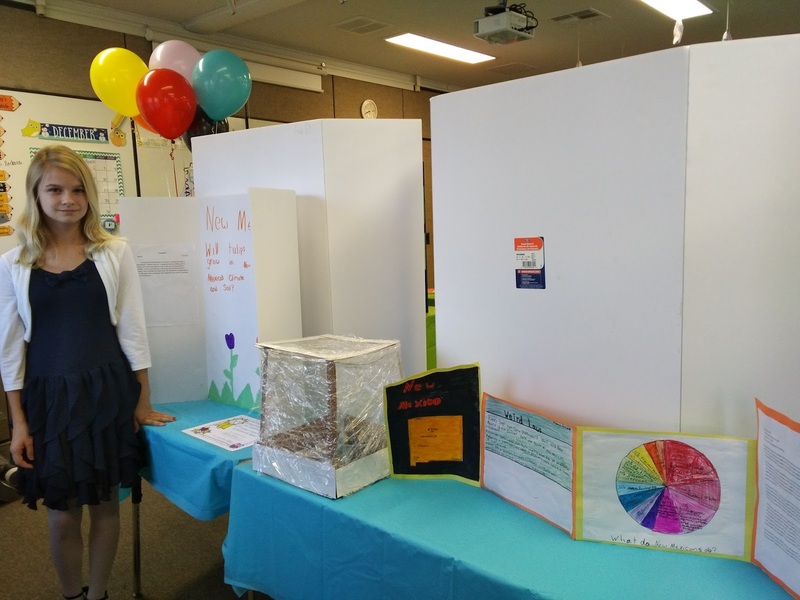 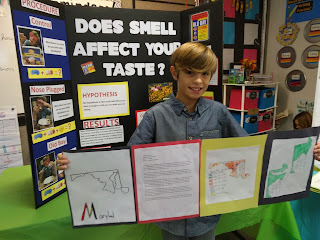 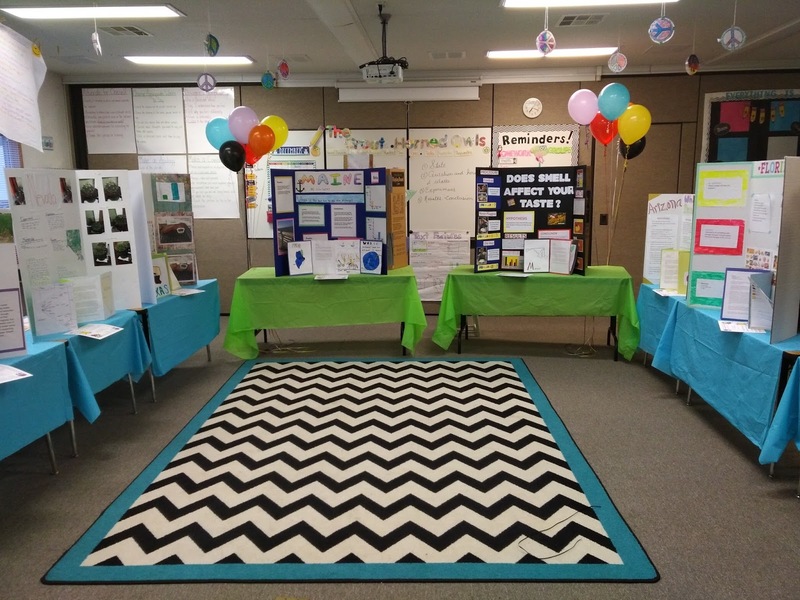 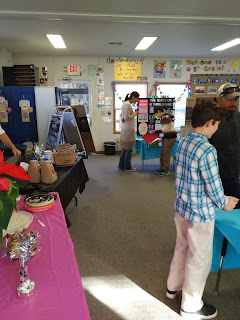 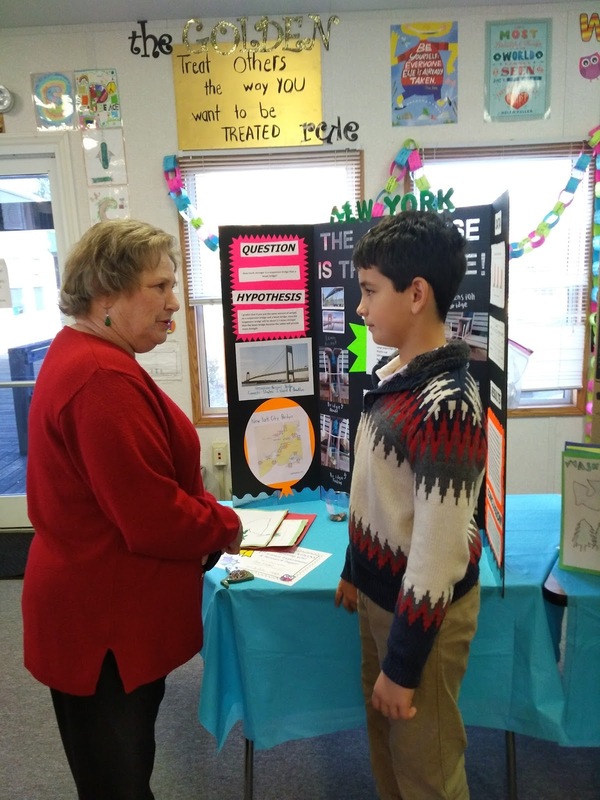 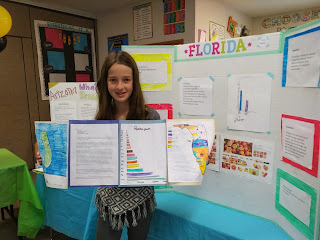 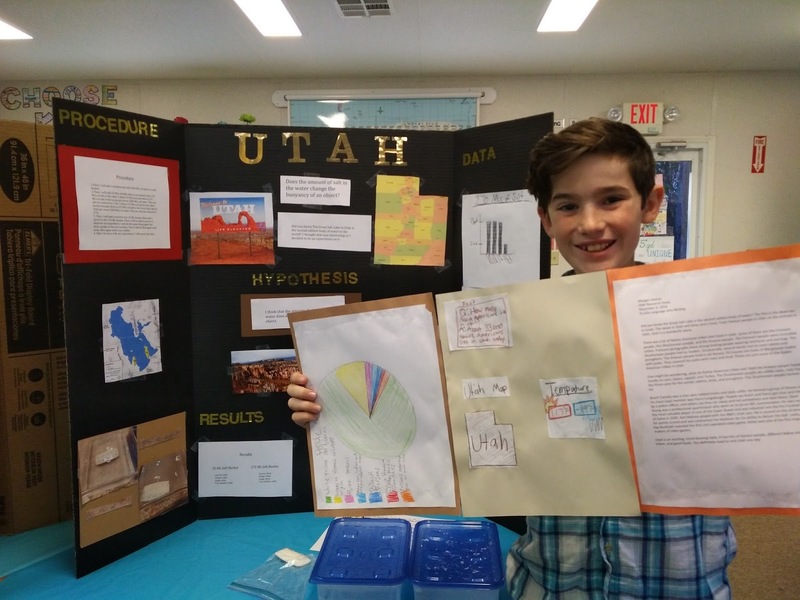 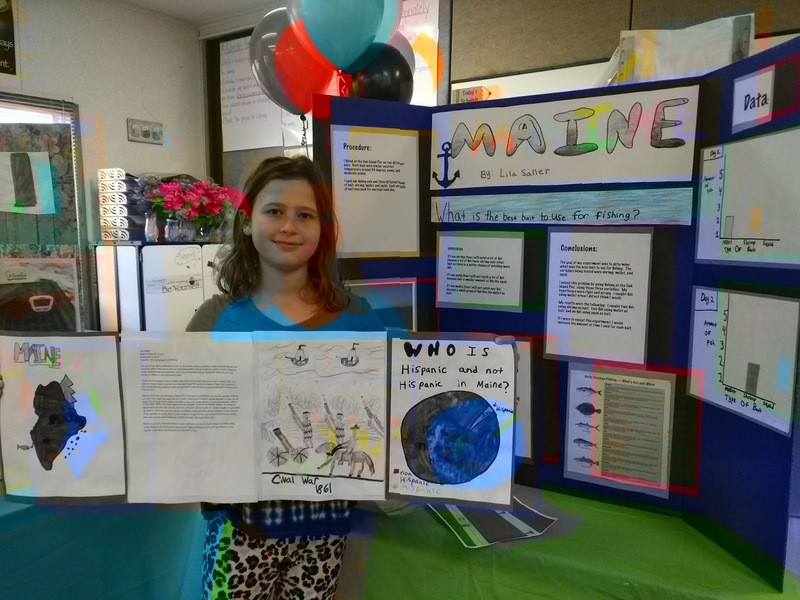 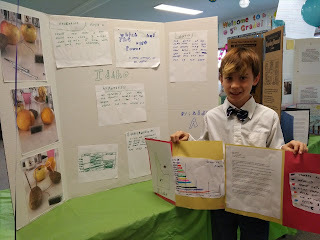 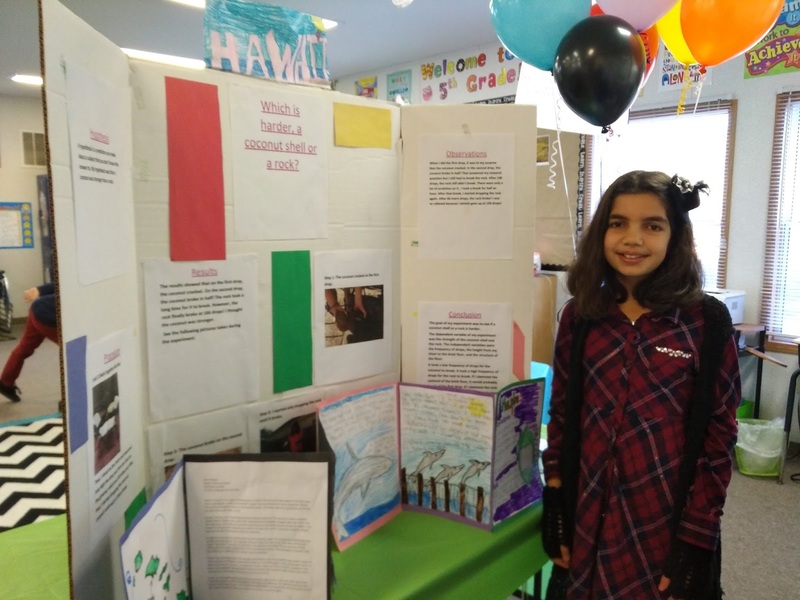 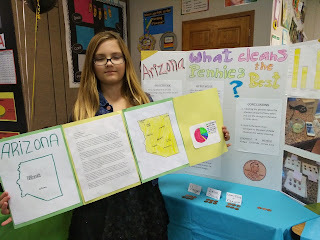 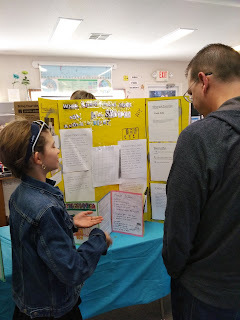 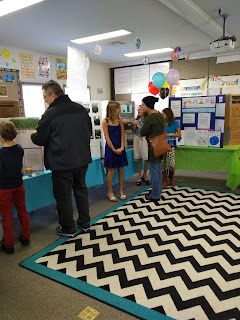 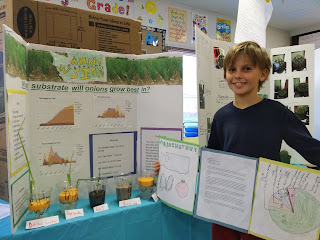 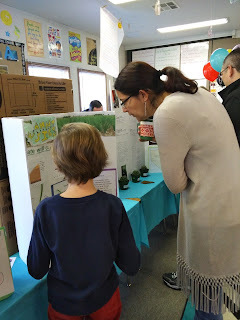 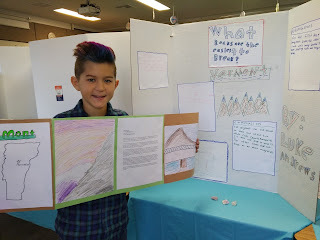 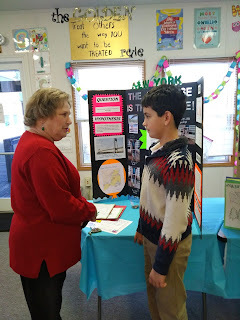 In 5th Grade with Teacher Julia: 4th Annual "State" Fair! 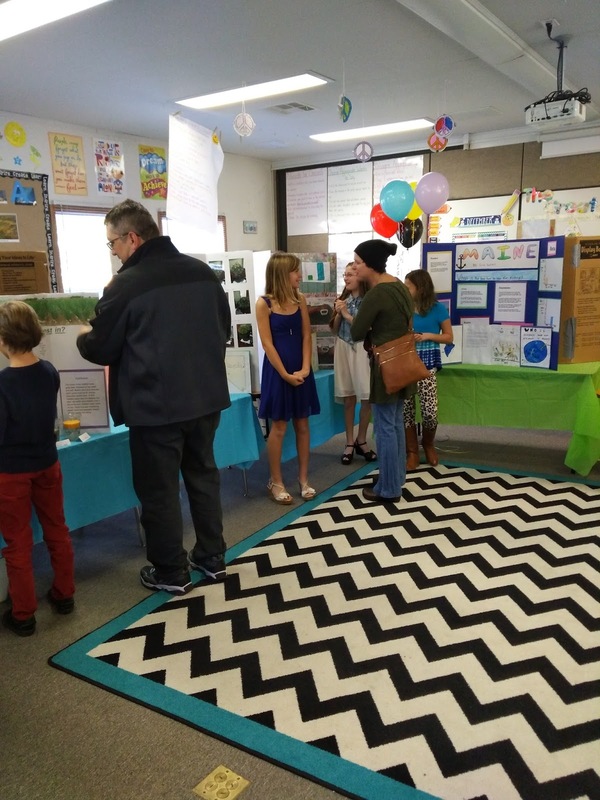 Overall, it is a success each year! I am so very proud of every single one of my students! 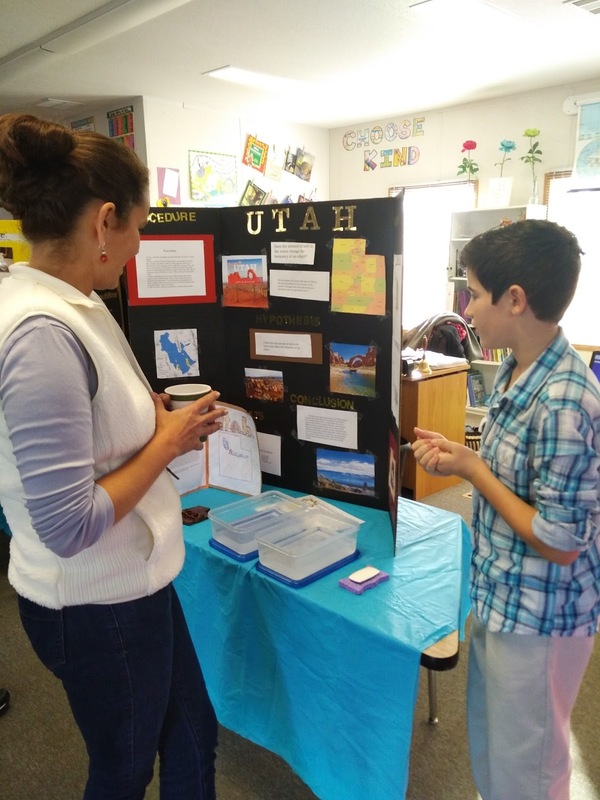 Utah: Does salt affect the bouncy of an object? 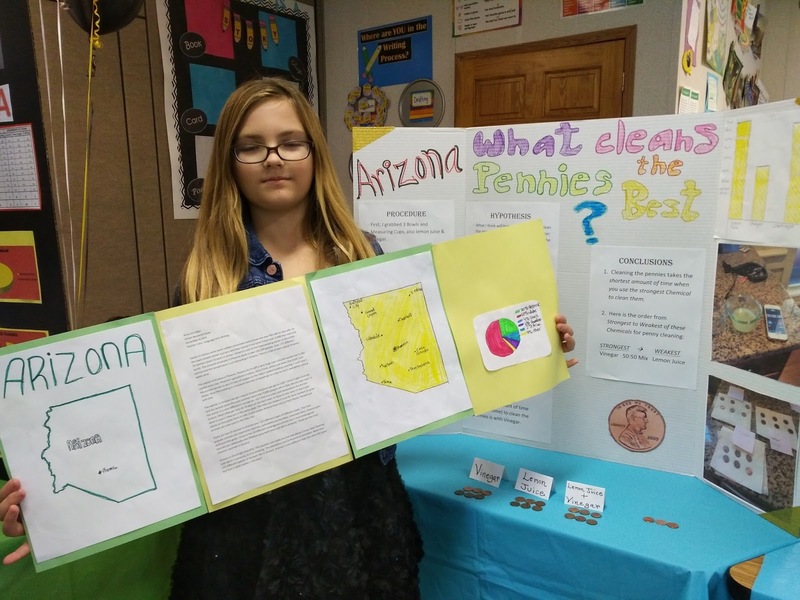 Arizona: Do certain liquids work better to clean a penny? Maryland: Does the smell of Old Bay spice affect taste? 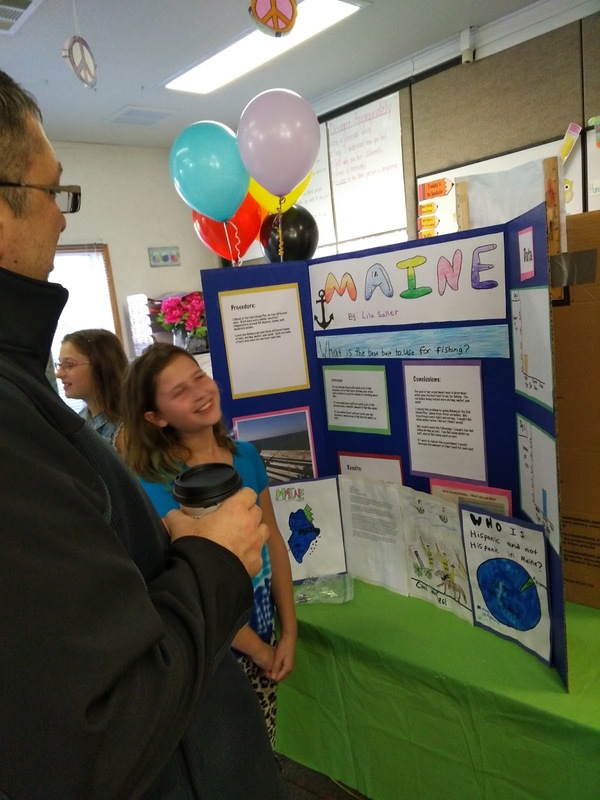 Maine: Do shrimp, squid or mullet catch more fish? 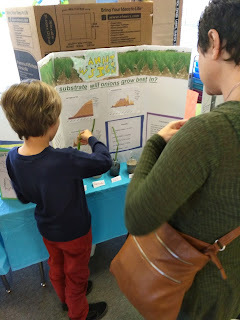 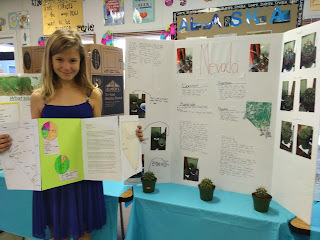 Nevada: Does the amount of water affect how a cactus will grow? 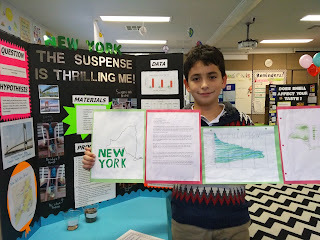 New York: Does the structure of a bridge affect the amount of weight it can hold? 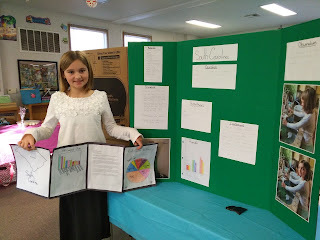 Vermont: Which rocks are the easiest to break? 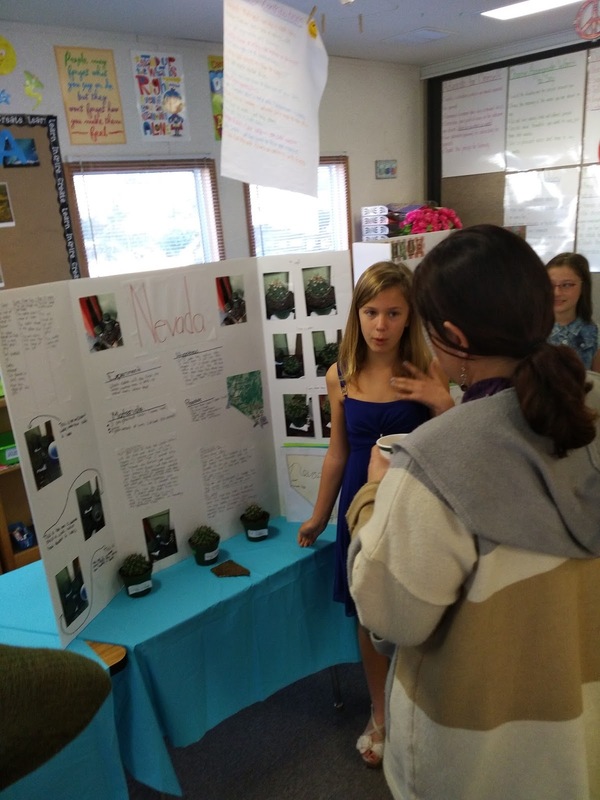 New Mexico: Does the climate and soil affect the growth of tulips? Hawaii: Which is harder, a rock or a coconut? Idaho: Which is the best conductor of electricity; potato, apple or orange? South Carolina: Does the flow of water affect power? Washington: Does different kind of water affect how onions will grow? Florida: Does saran wrap preserve an unpeeled orange?